Unposted Letters : I married your Mom! Often it happens, what is want to say to someone – remains unsaid. That silence and mum for years builds up in our hearts and minds. Here is a series of “Unposted Letters” which will feature emotions – feelings – thoughts of people who have something to say. When your hero is not your hero anymore.. In our tender years, we generally look up to the two people we’re most close to – mom and dad. For most people, mom is a synonym to affection, care, nurture etc. While dad is inspiring, motivating and a hero-like figure. He earns the bread, looks after his family, pays the bills, takes care of every big small need of his kids and never lets them down. During the pre-teen days, when world is a bed of red roses without thorns, most of us have an inclination to be like our moms or dads. 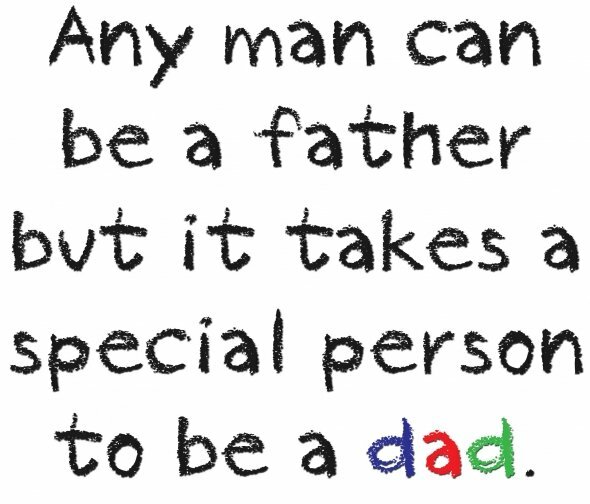 In school paintings we draw our dads as super man and while giving a speech on “who is my hero” we describe our dads. These rosy days last long for few like me and generally end for many as they hit the teenage clock. With denied permission, checking school bags, inquiring about grades, restricting outings and friends, most dads become Hitlers for their kids. The other category – they still live in their dreams. The restrictions and permissions feel logical enough. The denial and strict attitude feels necessary. And we still consider our dads as our heroes. Until finally maturity or harsh reality hits. Then we realize those taunts – he actually means them. When he says he has no faith in you – he meant it. When he told you on your face that you can never do anytime in your life – it wasn’t just meant to shatter your ego. He did mean it. He wanted you to feel the shame of disappointing him. Feel the agony of letting him down amongst his peers. Feel zero confidence because you’re not worth it. He meant it all. Maybe you’ll try understanding why he said those things. At times even shrug them aside thinking he really dint mean to say those things. Or even completely laugh about it that he much be having a bad day today. Until it happens again. And again. And yet again. And everyday. Then you’re forced to think. Really? I am that pathetic? I am totally worthless? And you conclude that you have not achieved anything and you deserve those daily doses. All those files full of certificates of appreciation, all those friends who boost you, all those unknown people who have faith in you – you ignore them all. 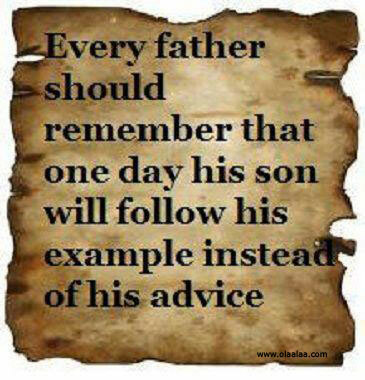 Since you worshiped your dad – he was your hero – every word he says is inked in your mind. You cry about it every night. Some days those sobs put you to sleep and on other days the same sobs don’t let you sleep. But it doesn’t stop anything. Nothing changes. With no family – no emotional support you finally start to live in suffocation. Suffocation of your own actions. Actions you were made believe were bad and for which you deserved such a treatment. 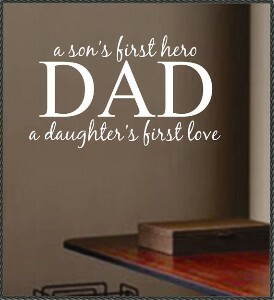 And your once beloved dad – stays your hero no more. I hope it’s not true for you. I hope you don’t live in the constant thought of, when can I run away or death is my only way out. I hope someone saves you from suicide, someone understands you, someone believes in your convictions and someone stays by your side and says – its okay. You can’t change your parents. You can only learn to live with them. Overwhelming joy of seeing my name IN PRINT. Thank you MONTH OF MARCH. When decades ago, Nokia was introduced with its catchy tag line “connecting people”, who knew mobile phones would eventually become more than just a necessity? For years after the first mobile phone was introduced, it remained a luxury item, out of reach to most middle-class users. With the advancement in technology, the number of players in the market increased and mobile phones became more affordable, and therefore ubiquitous. The first phones had just the bare minimum function of dialing or receiving a call. Later, there was a phenomenal growth of SMS or Short Message Service. With these two functions, the requirement of a “mobile telephone” was met. And today, ‘smartphones’ feature many different useful functions like alarm, calendar, portable camera, Internet connectivity, media players, video recorders, and even GPS units. Lately, the mobile phone industry took a step forward to introduce smartphones. And like every new product in the market, it remained exclusive for the richer class of customer. In the last few years, however, even this trend has completely changed. 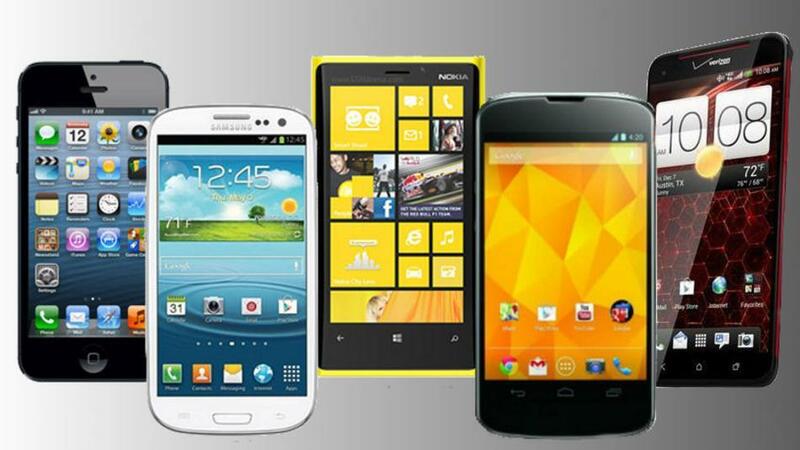 More than two dozen companies have now introduced affordable smartphones in the market. So how has this trend affected the recent generation of users? Wikiweb — a Wikipedia app that serves up the usual content crowd-sourced from willing bodies around the world and also visualises the connections between articles. Eye Paint Animals — discovery tools aimed at energising kids to play, create, invent, explore and learn in enjoyable ways without the limitations of set parameters. Native Numbers — provides a deeper understanding of number concepts and imperative math vocabulary; builds a strong foundation. Red in Bed — teaches kids about the colours of the rainbow; each colour gets its own musical note, too. Bee’s ABCs — singing along to the alphabet song, spelling simple words and learning about pronunciation. I See Ewe — explore more than 50 shapes, colors, objects and animals; adjustable levels of difficulty, verbal prompts and four different languages included. Preschool Jobs — learn and explore various professions such as a doctor, astronaut, rock star, police officer and a construction worker, see their work environments and examine the tools that they use each day. Tense Builder — teaching the tenses; includes the English words that do not follow the rule, otherwise known as irregular verbs. MyHomeworkApp — keeps track of homework, projects, tests, and other assignments; set reminders for when things are due, set level of priority and keep track of schedule of classes. TED Talks — customised quizzes, discussion guides, and other supporting materials to facilitate making a great lesson plan. Ankidroid — perfect for exam cramming; helps students memorise anything through information flashcards which they can create themselves. Once loaded they can quiz themselves anywhere, anytime. Wolfram Alpha — uses a vast database and various algorithms to answer to any questions of wide range like physics, chemistry, astronomy, maths, etc. BenchPrep — choose your course (high school, higher education, graduate and professional), choose your device, and study independently or with friends. SAT Vocab Cards — browse and quiz on 1,000 high-frequency SAT words for free, with 1,000 more available for purchase. SATLadder — a competition-based question answering structure including over 2,000 SAT questions. MCAT — features over 2,000 flashcards so you can study on the go. GRE Word Boost — with 500 essential GRE words in its database, study and quiz anytime. ClassDojo — teachers can create a free account, add their students’ names and customise the behaviours they want to encourage. During class, positive behaviour is reinforced by dishing out feedback points to students; these feedback points automatically compiles the data into reports, letting teachers monitor progress, trends and share information with parents. Famigo Sandbox — a brilliant and free way of making your Android device safe for your kids. It includes a free app of its own for kids to play as well as listing certified safe apps for parents to browse and choose from. There are no ads or in-app purchases and you get shown games and activities that are platform and child specific. App Timer Mini (ATM) — simple tool to track user’s time on selected apps; the app timer can be set for all the apps, based on how much time should be spent on each which will be shown on the screen while you are using an app. Auryn Ink — digital watercolour-painting app; feels like real watercolour painting, right down to choosing between wet or dry canvases, and watching the paint dry on the page. Tapestry — offers short stories from various authors, displayed full-screen rather than in e-book style layout; readers are encouraged to give feedback to the authors too. Celeste — combines 3D graphics of the heavenly bodies with fun facts about astronomy; aim the device’s camera at the sky and see exactly where each object is located, day or night. Famous Artists and Their Paintings — learn about more than 100 famous works of art from Michelangelo, Rembrandt, da Vinci and more and test your knowledge with a time-trial quiz. Britannica Kids — encyclopaedias come alive on a range of topics; info presented alongside videos, games and quizzes. Robots for iPad — learn about electronics and robotics through videos and interactive examples of more than 100 real life robots like Sony’s Aibo dog. How it Works: Machines by Geek Kids — get an introduction to engineering and learn how various machines work by taking them apart and reassembling them. Feedback . Feedback . Feedback . 72,464 People have seen this journey! Need your help fellow bloggers! When I stumbled upon an absurd blog.